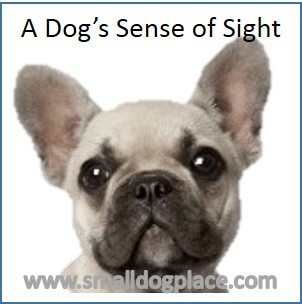 Dog Senses are the same as people in that we both share the ability to see, hear, smell, taste, and touch. Beyond that, we live in very different worlds when it comes to the senses. Dogs share our homes, our lives and often our pillows, but we perceive the world is different from what the dog experiences. Understanding what our dogs are experiencing can help us understand them better and lead to deeper bonds, improved behaviors, and successful training sessions. As humans, we live in a visual world, perceiving tens of millions of colors which allows us to enjoy the rich colors of spring and warm tones of autumn. We probably receive about 9 million bits of information coming in through our eyes every second. Our ability to see like this takes up a large part of our brains. Without stopping to think, we may assume that our dogs are seeing exactly what we see, which is not the case. Our sense of hearing, while adequate for our needs is not nearly as refined as the dog. If given a letter grade for our sense of smell, we would not fare well, either. We would end up with a C- or D+ at best, with our little dog outshining us with his usual A+. 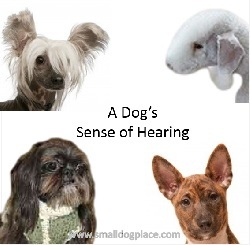 As humans, we can hear frequencies up to about 20,000 hertz, but our little dogs can detect sounds upwards of 45,000 to 67,000 Hertz giving them an edge on hearing the high pitched sounds of small prey. Of all the dog senses, smell is the most important one to the dog. The part of our brains that deals with odors is significantly reduced, compared to the dog and we have far fewer odor receptors making it difficult for people to understand the subtleties that dogs can experience. 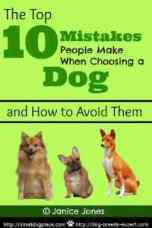 Most people are just fine with this “impairment” because we would likely turn our noses up on many of the odors that dogs fine irresistible. 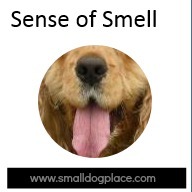 This is a big difference between how we use our sense of smell and that of our small dogs. We experience the world primarily through our eyes and our ears. Our dogs rely on their noses to make sense of their world. Taste is an incredibly important sense for humans. While the appearance and aroma of our favorite dish is important, we would probably leave it sitting on the plate if the food didn’t taste good. 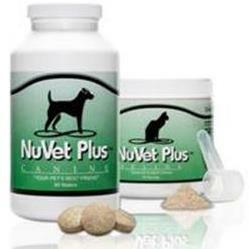 Dogs can gulp down a meal in less than a minute, barely tasting the food. The difference lies in the number of taste buds we possess. Humans have a whopping 9000 to a dog’s measly 1700 giving us the upper hand when it comes to taste. 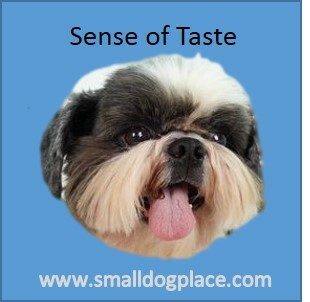 If smell is the most important of the dog senses, then taste is the least significant. Touch is important to both you and your dog. Of all the senses, touch is perhaps the most similar in humans and dogs. A dog’s sense of touch is one of only a couple of senses present at birth, which also includes smell and taste. Our mutual need to touch and be touched may be one reason why the bond between humans and dogs become so strong.